I'm sitting at my kitchen table eating sour blueberries trying to figure out what words I should stick on this page. I keep getting up every five minutes to pull a bored adolescent dog out of whatever she's not supposed to be doing. It's like having a kid around here, she's glaring at me from the corner and dragging her toy bone across the wall in defiance. Oh, I see you, little curmudgeon. I'm at a loss for words because everything seems to be in upheaval lately. There is no feeling settled, or sure. My life has been stuck in a blender and somebody is mercilessly hitting the frappe button. But I'm good, I'm excited! I've been taking time to make decisions and let go of what is no longer good for me, and if that doesn't get me somewhere I don't know what will. I feel like my 19-year-old summer is going to be one for the books. And in the midst of this upheaval, we have here one of the more challenging baking adventures I've had the time to take on in quite awhile. When I heard that Joy the Baker is doing a Baking Bootcamp challenge, you'd best believe that I was down. But, being that I am me and can't leave anything alone, I decided to adapt this bread on the very first get-go. 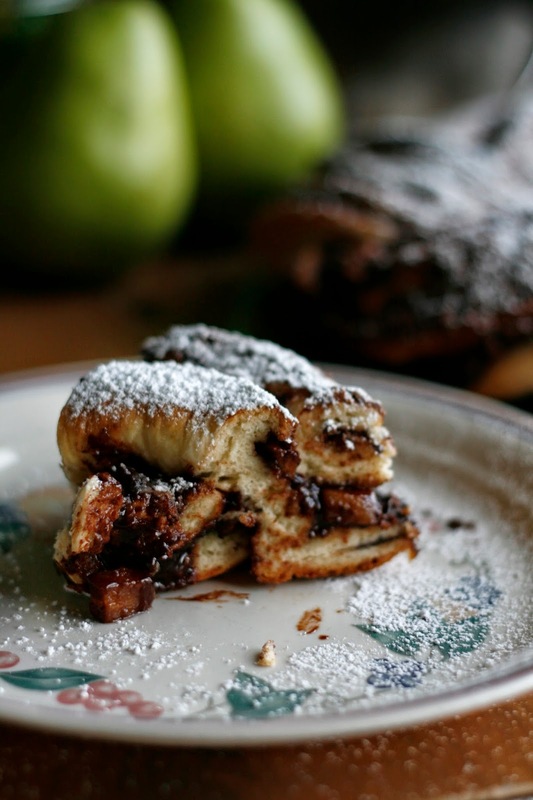 Pears and Nutella sounded amazing in a sweet yeasted bread, so I went for it. This led to a minor kitchen catastrophe including me still learning to adjust to our new gas oven, taking beautiful pictures of a beautiful bread, going a little too heavy-handed on the pears, twisting my bread totally wrong, and cutting into the finished product only to reveal that the entire thing was raw inside. I made some mistakes, people. A lot of 'em. But it just so happens that the day I made this beast was also a day in which I wasn't taking crap from anyone, not even my kitchen. I threw the raw scraps on the table for passersby to devour as they wished and tackled the mountain of dishes in the sink. Pretty soon I was slapping more dough onto the table and braiding like nobody's business, I was determined to make this work. And it took me all danged day, but I did it. And now that I've gone through hell for it, I promise this will be much easier on you. I even took step-by-step pictures because visuals are good, and I want you to see that this is indeed possible. 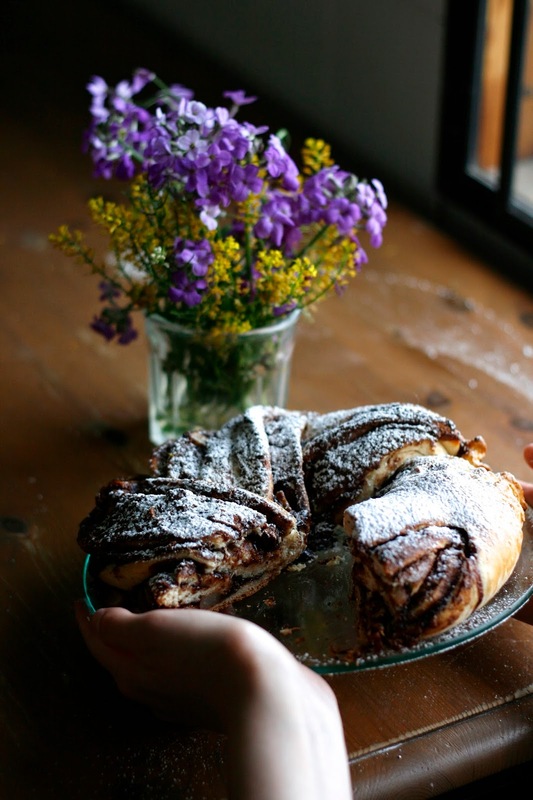 So, here we go, hold my hand and let's braid this sinfully delicious bread. We start off with a foamy, proofed yeast-milk mixture. Into this mixture is dumped the dry ingredients, and we stir together to form a shaggy dough. 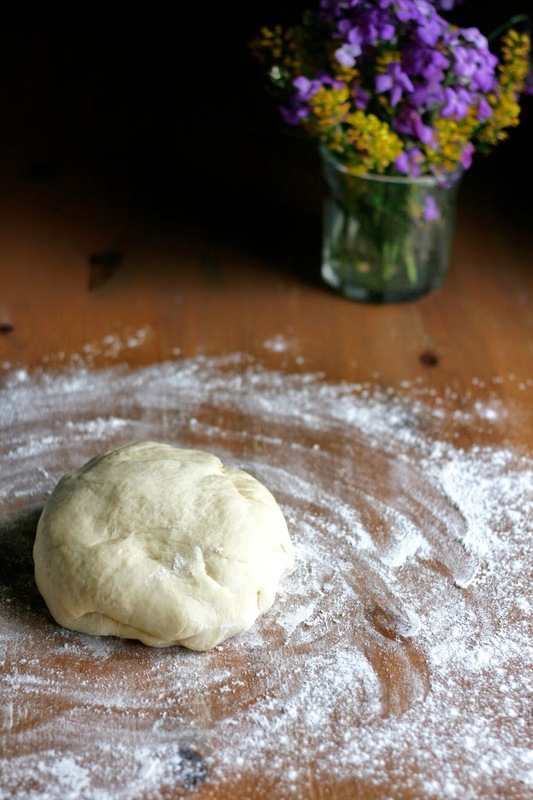 This dough is turned onto a floured surface, and we get to gently knead it into a smooth, round ball of goodness. This has got to be my absolute favorite part of baking, holding that perfect ball of dough in my hands. We place our baby into a greased bowl and cover lightly with plastic wrap, and after about an hour it is doubled in size. Pretty easy so far, yes? Yes. 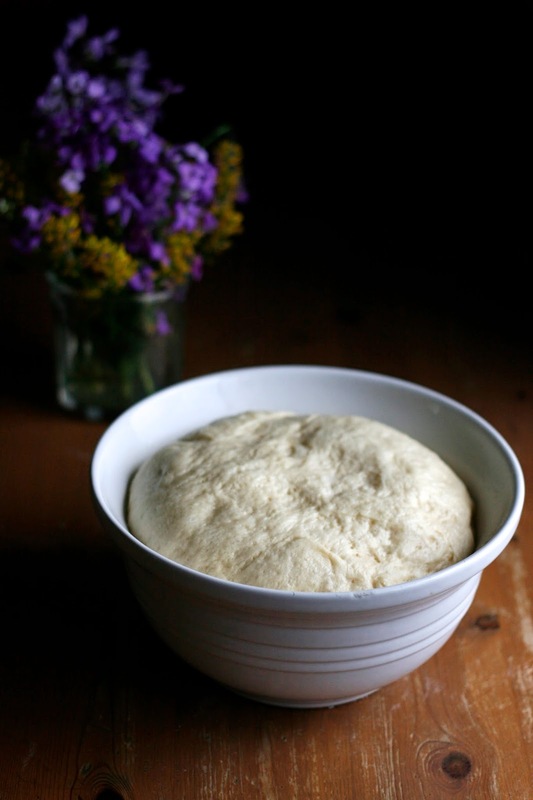 Turn that risen dough onto a floured surface and knead it gently just a couple of times. Now things get real. Roll the dough out into a rough 18x12-inch rectangle shape, spread it with Nutella and leave a 1-inch border so we can roll and seal this thing. Next come the pears. 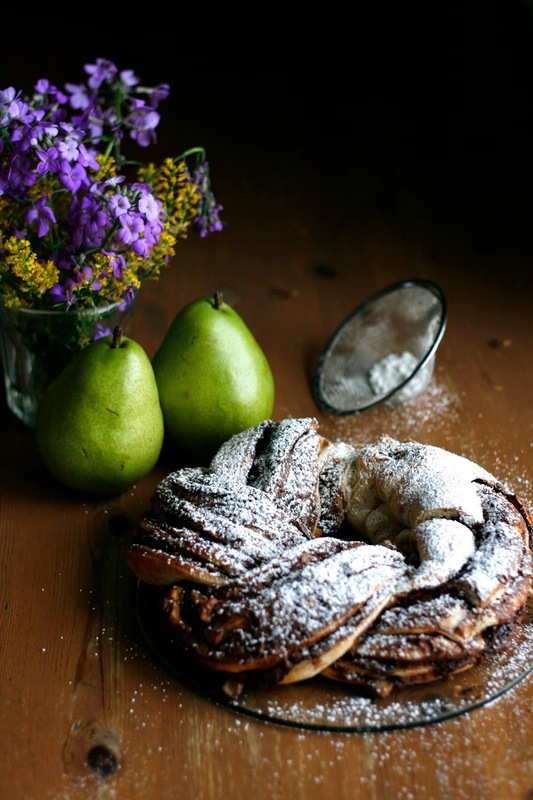 I know you love pears, but don't go heavy-handed with them or the dough's going to have trouble cooking thoroughly. 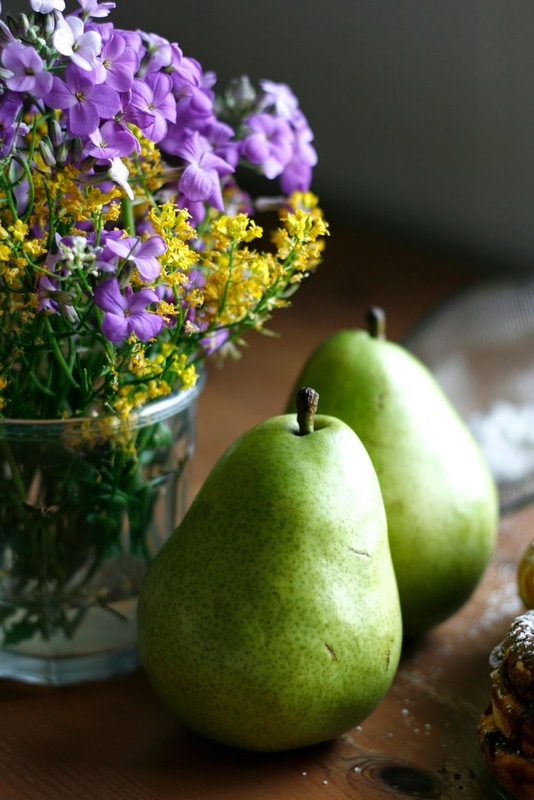 A scattering of thin-diced pears is all that is required. Here we go, we've rolled our baby into a log and tucked the ends under, and we've also turned it to face us vertically to make this easier. 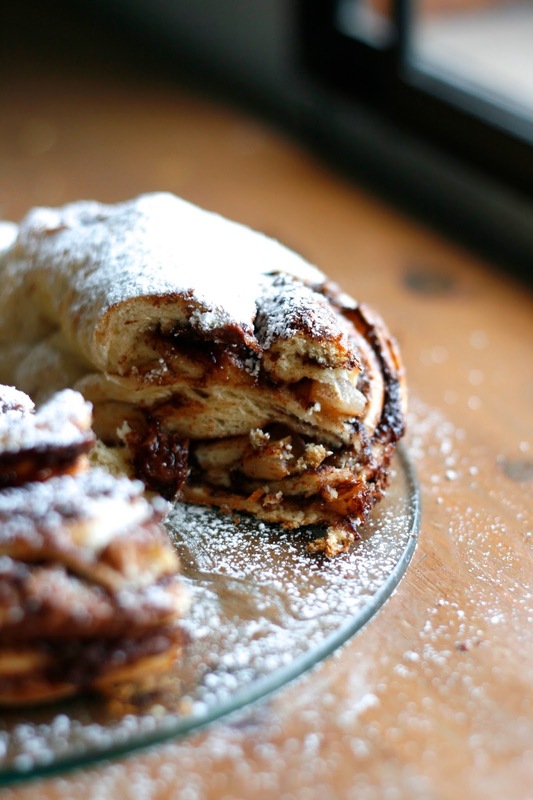 Be gentle, Nutella likes to leak through tender yeast doughs, but don't fret if it does. Life is messy, and this thing is going to be far from perfect, but it will be delicious. Now we do something rather odd, we have to cut our log in half, leaving 1-inch of the top attached for stability. Be sure you're doing this on a cut-able surface, such as an old farm table with many battle scars from dedicated teenage bakers and young toddlers with forks. After you've done that, turn the halves so the Nutella-pear filling faces upward and it's ready to be braided (didn't picture that part, but you get the gist, it's not hard to turn them up to face you). Swift hands lift the left strand continuously over the right strand to form this crazy-looking braid. It's normal for you to have to reorient this thing as you twist it. Pinch the ends together to seal. Now we join the ends of the braid together and pinch to seal into a lovely wreath shape. Now take a moment to breathe and pat yourself on the back. 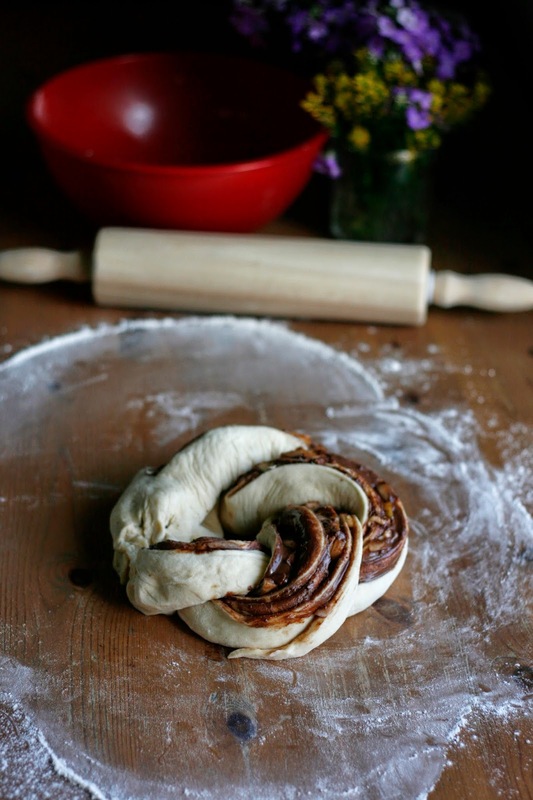 You just braided bread, yo. Now we have to disrupt this wreath and lift it into our prepared pan. Just take a deep breath and don't let your fear show, use both hands to slip your baby into its greased little home. Brush it with an egg and send it off to the oven. A half hour later and you are rewarded with a beautifully browned mass of sweet yeasted bread, just oozing with Nutella and tender chunks of pear. Go you, you're an absolute rock star. Check out Joy's post with info on how to enter a King Arthur Flour giveaway just by trying your hand at this bread before June 22nd, she also has much nicer step-by-step photos and an alternative berry-cinnamon filling that I decided to change up. 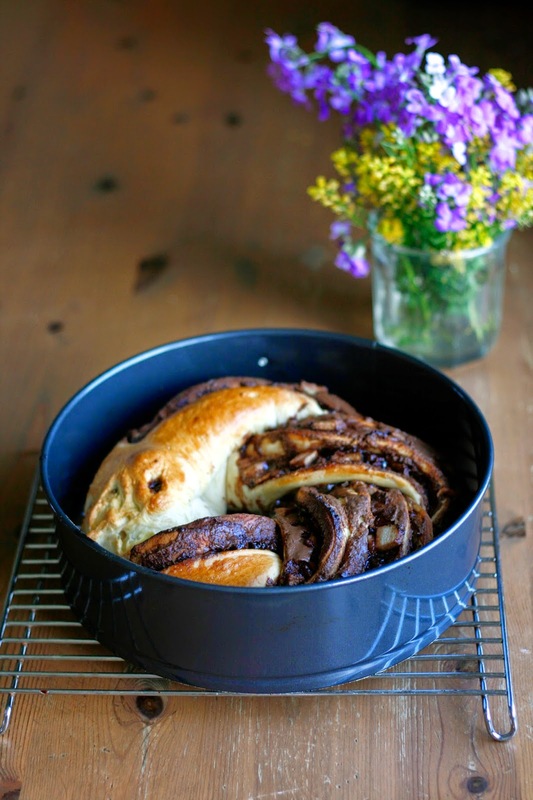 This bread is totally possible, and I am so glad I gave it a second chance so that it could be just right for you. In a medium bowl, stir together the yeast, sugar, and milk. Allow to sit for 5-10 minutes, until foamy and frothy. 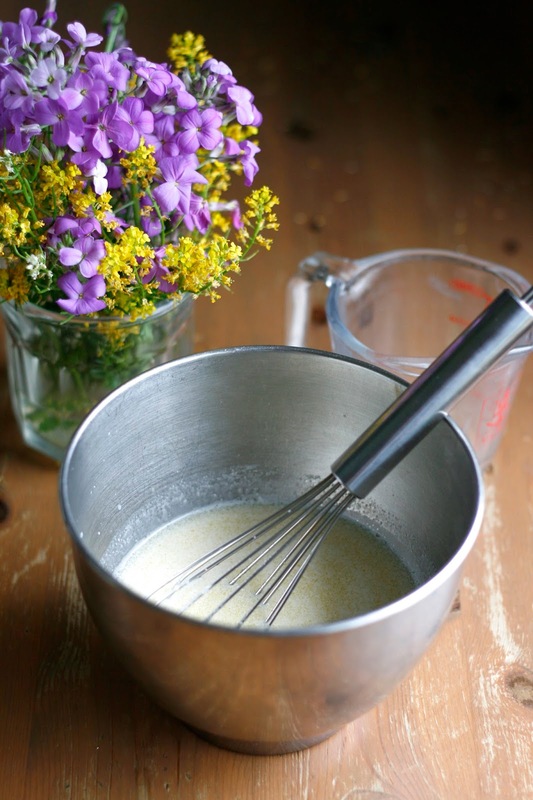 Whisk in the egg yolk and melted butter. 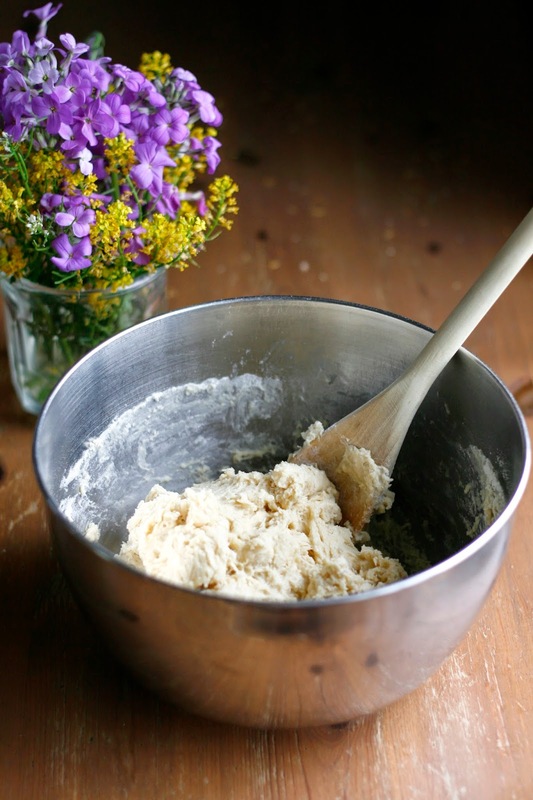 In a large bowl, whisk together the flour and salt. Pour the milk mixture over the dry ingredients and stir together until a rough dough is formed. 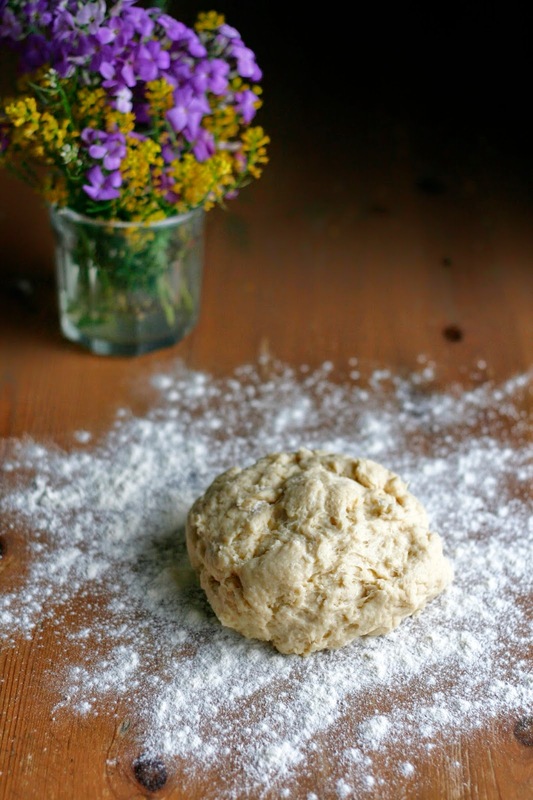 Turn onto a lightly floured surface and knead for 5 minutes, or until the dough springs back when lightly touched. 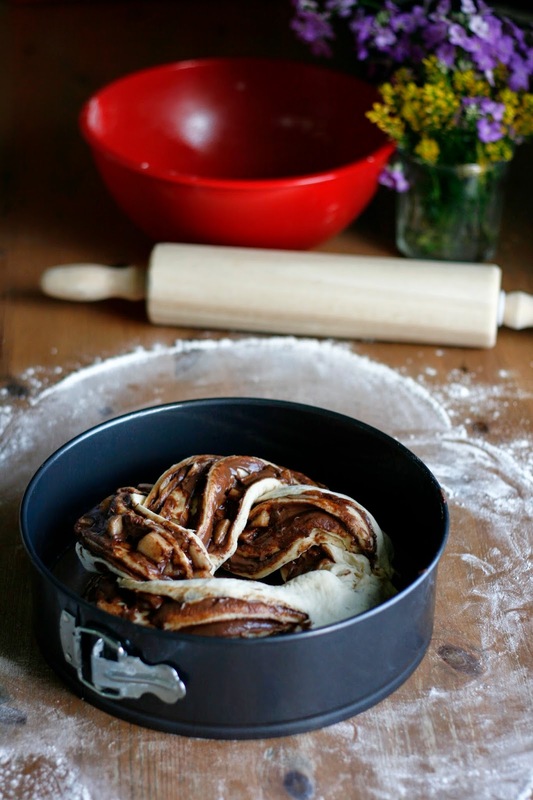 Shape into a ball and place in a large, greased bowl. Cover loosely with plastic wrap and allow to rise for 1 hour, or until doubled in size. Preheat the oven to 375 degrees F, and grease a 10-inch cast iron skillet (alternatively, you can use a 10-inch springform pan, or a 10-inch cake pan with 3-inch sides). 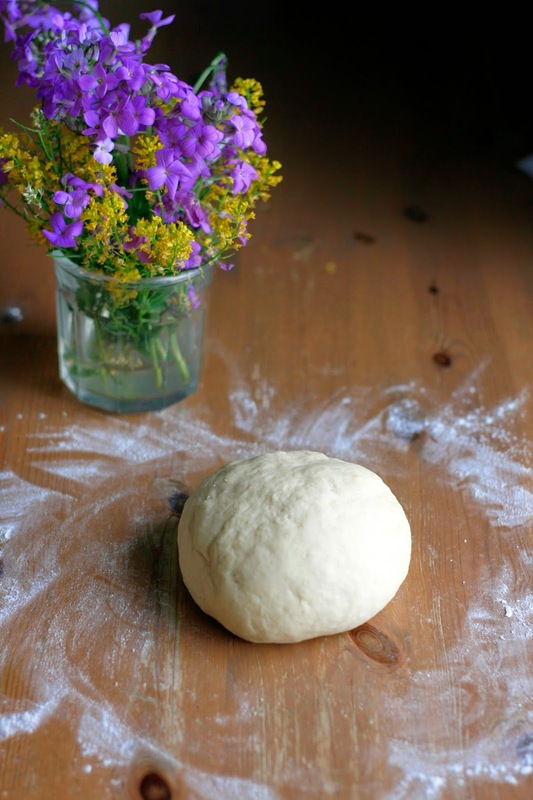 Place the risen dough onto a lightly floured surface and knead twice. 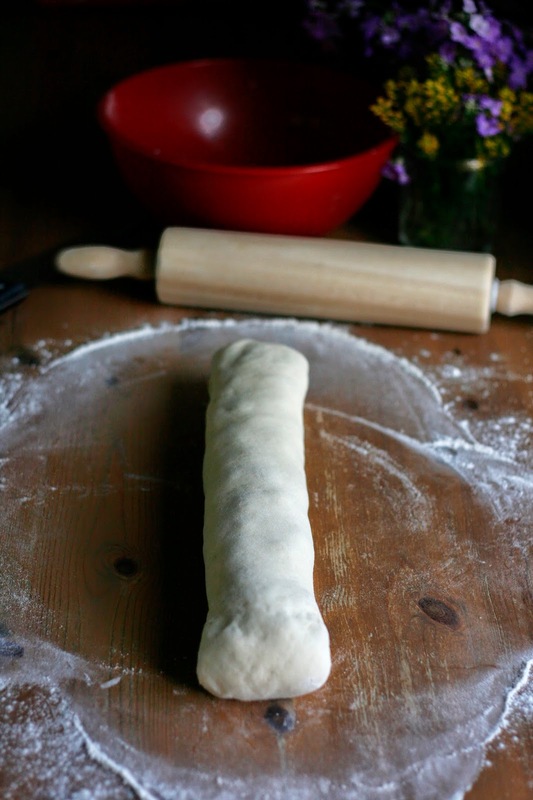 Roll the dough into a rough rectangular shape of about 18x12 inches. Place the Nutella in a small microwavable bowl and heat for about 30 seconds to make it more spreadable. 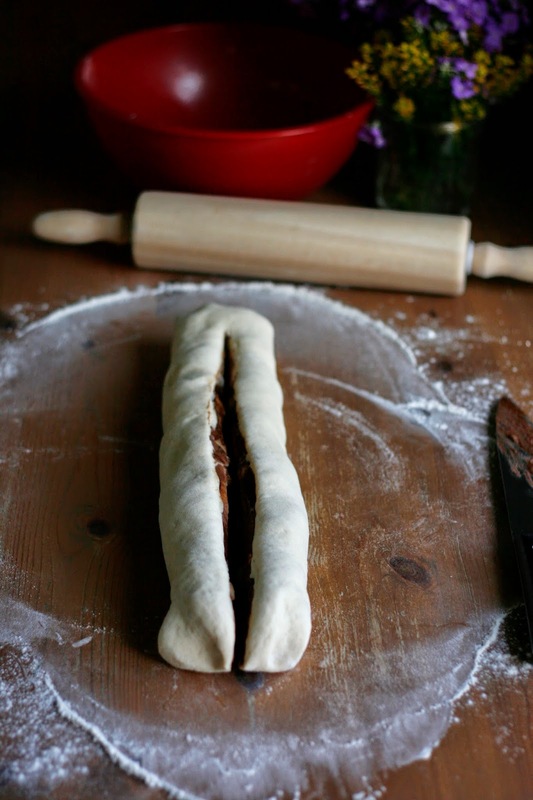 Spread the Nutella over the prepared dough, leaving a 1-inch or so border around the sides. Evenly distribute the chopped pear. 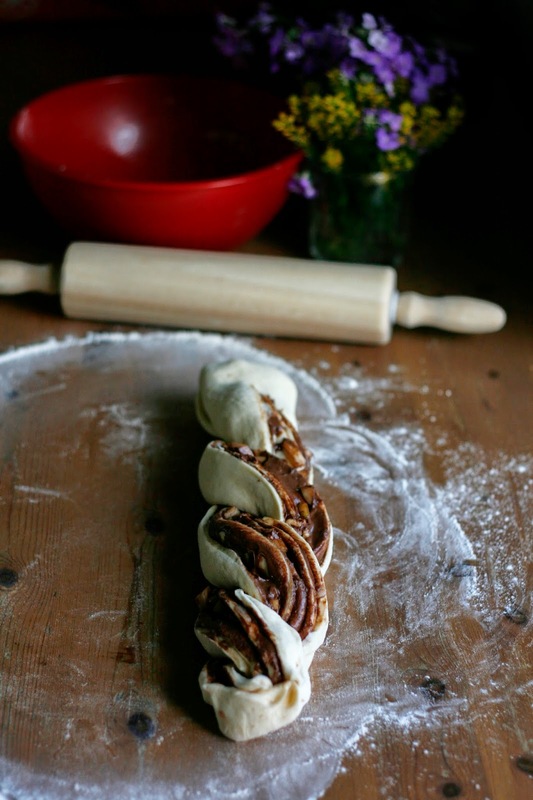 Starting at the longest side of the dough closest to you, begin to roll the dough into a bumpy log. Be sure to finish with the seam side down. Tuck the ends of the log underneath. With a sharp knife, cut the log in half down its middle, leaving 1 inch of the edge uncut. Braid the two pieces by carefully lifting the left strand over the right strand, repeating this motion and adjusting as necessary until you have reached the bottom. Press together to seal. Join together the two ends to form a wreath shape, and press together. Using two swift hands, lift the wreath into the prepared pan. Brush the dough with the beaten egg. Bake for 20-25 minutes, until golden brown and bubbling. Allow to cool for 30 minutes before dusting with powdered sugar and serving.